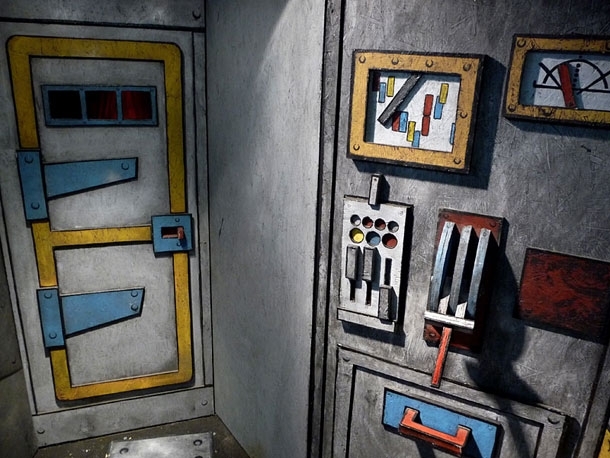 The Boiler Room was originally conceived as set piece for the Fishbon play, Frankensteina. Jon Smith and Dominique Reboul were the primary designers and developers. At one point, the Boiler Room had several interactive elements, including Alan Macy’s Heartbeat Amplifier.